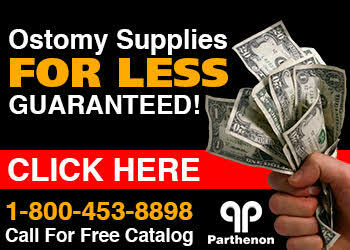 The Parthenon Company Blog - Specialists in Wound and Ostomy Supplies: ConvaTec Ostomy Product Help! ConvaTec's site also offers useful information like stoma management as well as product information. Whatever kind of ostomy appliance manufacturer YOU use, it is important to make sure you are getting the best price and quality service from your supplier. That's where Parthenon has you covered! With our "lowest price guarantee", committment to quality service, and getting you the product you want without substituting for a cheaper one, the Parthenon Company is the nationwide leader in discounted ostomy supplies. Parthenon sells the entire line of Hollister ostomy supplies, ConvaTec ostomy supplies, ConvaTec wound care, and skin care lines too! Not long ago we celebrated our 50th year anniversary of serving the ostomy community and we are proud that we have done it with honesty, integrity, and with the greatest attention to our customer's needs. Visit us online or call toll free 1-800-453-8898!